* The bsdinstall(8) utility now supports UEFI+GELI as an installation option. As long as sysadmins need to maintain, change and update operating systems there is always need to protect against problems that may occur during these operations. Various solutions were used starting from simple backup/restore procedures or copying the contents of system filesystems into spare disks to snapshots and clones recently. None of these solutions were transparent enough or bulletproof enough to provide complete and consistent protection again failures in the change or update process. One of such holy grails is ZFS Boot Environments solution. It protects entire system (and even additional data when needed) against almost any change or update process. As ZFS Boot Environments matured in Solaris/Illumos systems and then on FreeBSD UNIX other systems started to copy its principles to provide similar solutions such as snapper with BTRFS in SUSE or Boot Environment Manager for DragonFly BSD with their HAMMER filesystem. The presentation aims to walk through the history of these solutions with the focus on practical ZFS Boot Environments solutions and examples. Note: The cpucontrol(8) -e flag should only be used after microcode update have been applied to all CPUs in the system, otherwise system instability may be experienced if processor features are not identical across the system. Note: This advisory addresses the most significant issues for FreeBSD 11.x on amd64 CPUs. We expect to update this advisory to include i386 and other CPUs. Interesting side note: BPF is also the mechanic that the Spectre/Meltdown PoCs used to get arbitrary code to run in the kernel to trigger the speculative reads, as arbitrary code running in the kernel (albeit jitted) is a feature not a bug when it comes to BPF. Kevin Bowling has an article that shows how to setup a UEFI system to work with FreeBSD — including ZFS on root — and another UEFI OS like Windows. FreeBSD’s quarterly status update is out. EFI Refactoring and GELI Support: The EFI bootloader has undergone considerable refactoring to make more use of the EFI API. The filesystem code in boot1 has been eliminated, and a single codebase for filesystems now serves both boot1 and loader. This codebase is organized around the EFI driver model and it should be possible to export any filesystem implementation as a standalone EFI driver without too much effort. Both boot1 and loader have been refactored to utilize the EFI_SIMPLE_FILE_SYSTEM interface. In the loader, this is accomplished with a dummy filesystem driver that is just a translation layer between the loader filesystem interface and EFI_SIMPLE_FILE_SYSTEM. A reverse translation layer allows the existing filesystem drivers to function as EFI drivers. The EFI refactoring by itself exists in a branch on github. Additionally, GELI support has been added using the EFI refactoring. This allows booting from a GELI-encrypted filesystem. Note that the EFI system partition, which contains boot1, must be a plaintext msdosfs partition. This patch adds an intake buffer to the crypto framework, which allows injection of keys directly into a loaded kernel, without the need to pass them through arguments or environment variables. This patch only uses the intake buffer for EFI GELI support, as legacy BIOS GELI support still uses environment variables. EFI GELI support depends on the efize branch. These patches have been tested and used and should be able to handle use by early adopters. Note that the LOADER_PATH variable has been changed to /boot/loader.tst, to facilitate safe testing. loader.efi has been updated to use an event timer to implement its internal time function. This is needed, as many UEFI implementations do not handle the GetTime runtime service method. This means that loader.efi will now correctly count down before automatically booting. 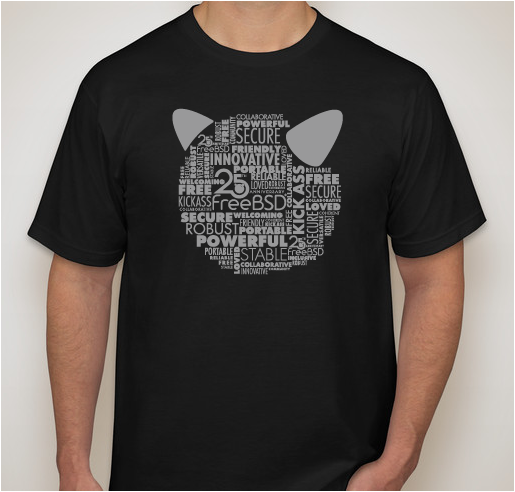 BSSSD: Trusted Computing now available for FreeBSD and OpenBSD: All pieces to utilize Trusted Computing and build Trusted Computing applications on FreeBSD and OpenBSD have been made available by the BSSSD-project. #FreeBSD just gained #ZFS #UEFI support: https://t.co/JErubeM0a9 !!!!!!!!!!!!!!!!!! Add EFI ZFS boot support: This builds on the modular EFI loader support added r294060 adding a module to provide ZFS boot support on EFI systems. It should be noted that EFI uses a fixed size memory block for all allocations performed by the loader so it may be necessary to tune this size. For example when building an image which uses mfs_root e.g. mfsbsd, adding the following to /etc/make.conf would be needed to prevent EFI from running out of memory when loading the mfs_root image. UEFI and secure boot: FreeBSD’s UEFI boot support needs to interoperate with many different EFI firmware implementations, and it’s only after broad testing that we were able to identify some incompatibilities. Through effort from Foundation staff and from volunteers in the FreeBSD community we’ve fixed UEFI boot on a variety of hardware and virtualization platforms, including Apple Macbook and Mac Pro computers and VirtualBox and VMware. These improvements will be available in FreeBSD 11.0 and 10.3. We also started working on support for secure boot. To date we’ve been working on individual tools — the uefisign(8) utility to add Authenticode signatures to EFI files, and the sysutils/pesign, sysutils/sbsigntool and sysutils/shim ports. Next year we’ll integrate these components into a broader secure boot implementation.